All Front Royal homes currently listed for sale in Front Royal as of 04/22/2019 are shown below. You can change the search criteria at any time by pressing the 'Change Search' button below. If you have any questions or you would like more information about any Front Royal homes for sale or other Front Royal real estate, please contact us and one of our knowledgeable Front Royal REALTORS® would be pleased to assist you. "Great location! Right off the I-66 exit. Commercial Zoning. Marriott Hotel is under construction next door. Wonderful Golf course within a mile. Rare opportunities! Good developing opportunity!Next to shopping centers. Public water and sewer close to south boundary of property. Sold for land value.Property for sale as is. Great to build hotel, shopping center, office building, senior housing..."
"Innisfree offers 86.53 acres on 4 parcels with stunning views of the Blue Ridge Mountains, Skyline Drive and George Washington National Forrest. 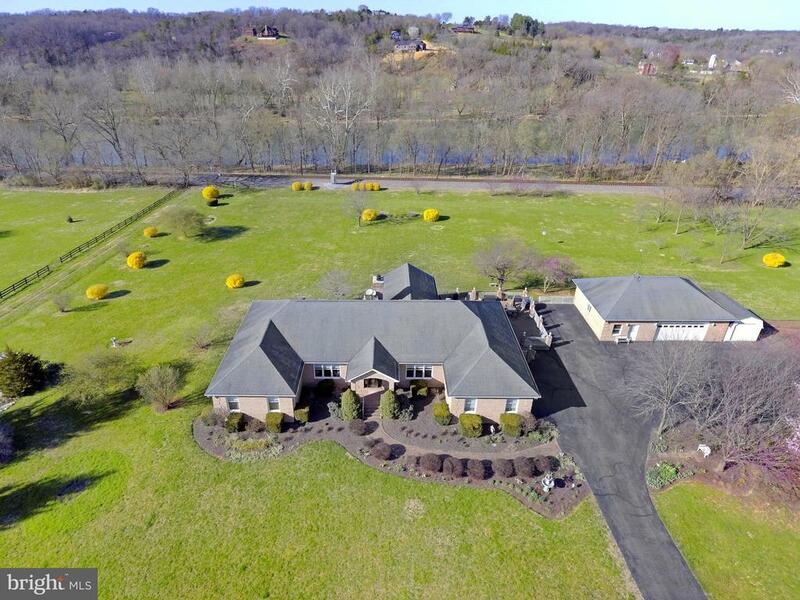 Property includes a main house and cabin, in addition to exceptional water frontage along the Shenandoah River. Boarding the Andy Guest Sate Park, Innisfree is a rare find. Located minutes south of Front Royal and 90 minutes from Washington. Sold As-Is." 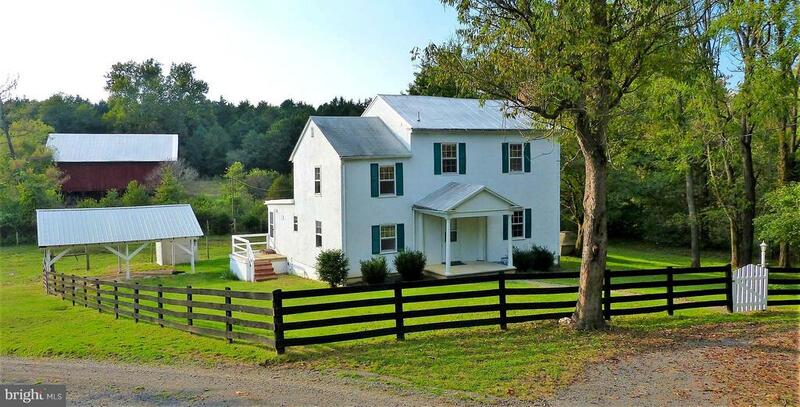 "Beautiful 140 acre farm with farmhouse and barn. Mostly open rural landscape, rolling hills with crop and pasture land. High flow year-round spring, Civil War camp site. Wet weather stream flows through property. 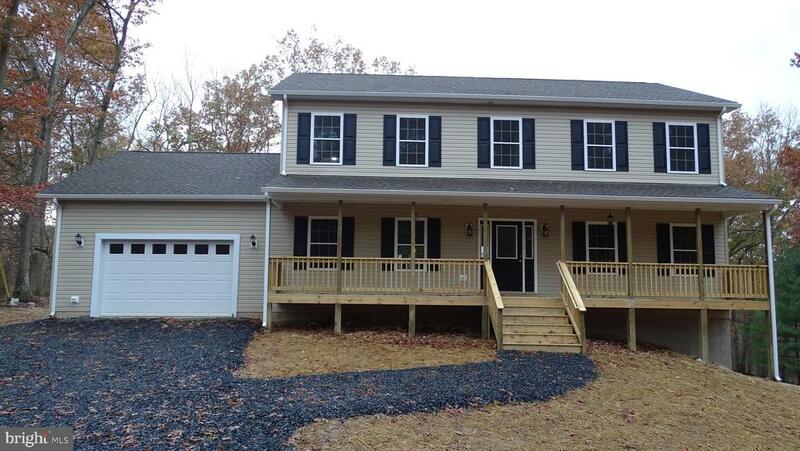 Fast, easy access to Route 522/Winchester Road-2.2 miles/4 minutes, and Interstate 66-4.7 miles/10 minutes. Shopping and restaurants 10 minutes away. Can be divided, potential for 3 more houses with multiple access points on Rockland Road. 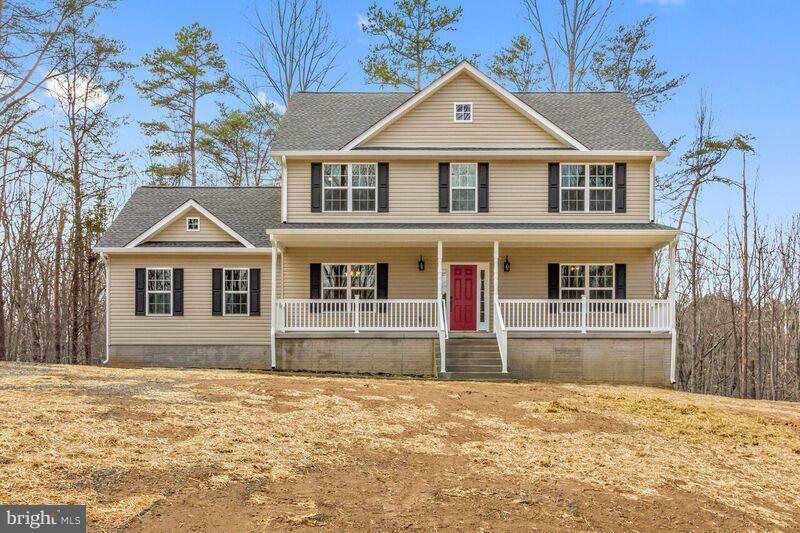 Excellent new house sites with incredible views of Massanutten Mountain, Blue Mountain, and Shenandoah National Park. 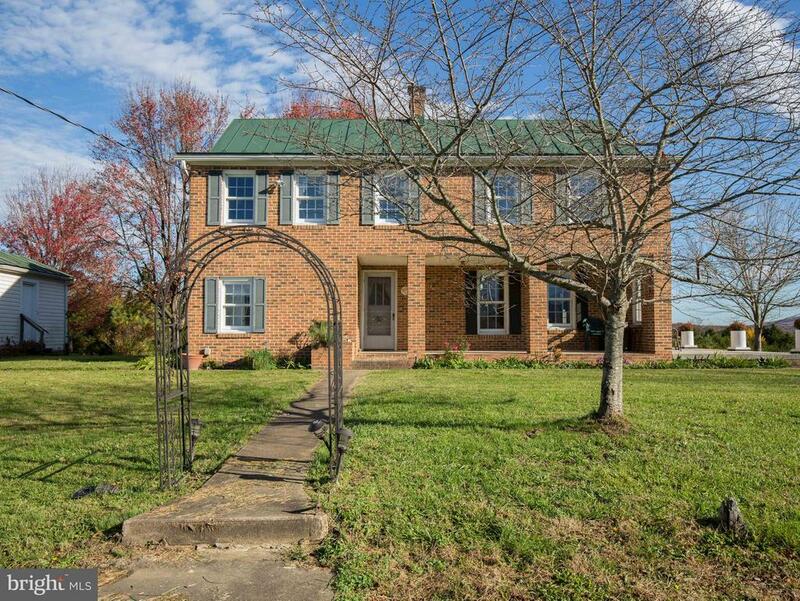 Charming old farmhouse, circa late 1800's, in very quiet/private location with reliable well, chicken coop, and garden area. House is move-in ready. Home is currently rented for $1,300/month on a month to month basis. Three bedrooms. Half bathroom on first floor, full bathroom on second floor. Original pine flooring, 200 amp electrical service, new water heater, storm windows. Active cattle farm, under lease for $6,000/year. Large 70' x 40' bank barn, solid structure, newly renovated and painted. Conservation Easement in place (land protected), many other farms with Conservation Easements farms in surrounding area, including adjacent farm. 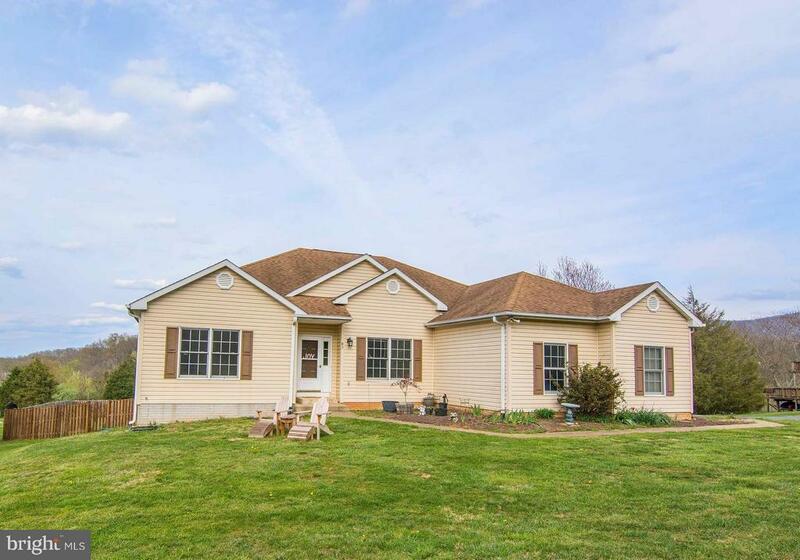 Property located in Rockland Agricultural and Forestal District.Close to Shenandoah River and Shenandoah National Park, Golf/Country Club adjacent to property.There is abundant wildlife for nature lovers and hunters. Great place to relax and explore with your family and friends. Farm life at it's very best!" 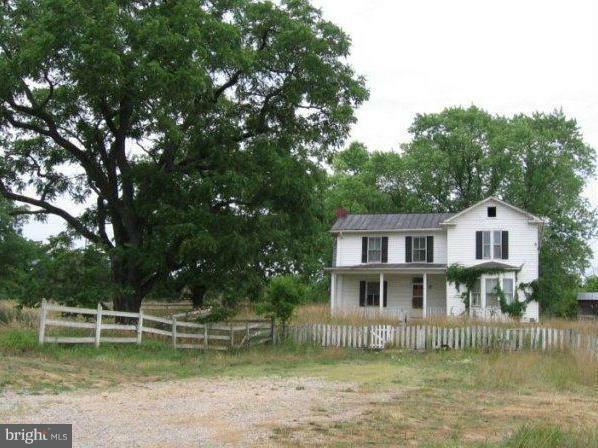 "WONDERFUL OLD FARMHOUSE READY TO RAISE THE GROWING FAMILY! START YOUR OWN FARM, RAISE YOUR FAMILY OR RETIRE IN SCENIC & SERENE SETTING, BARN IS FABULOUS, PERFECT FOR ENTERTAINING WEDDINGS PARTIES ETC, EVEN HAS DECKS OFF BARN, SILO STANDS PROUD NEXT TO BARN. HOUSE HAS HAD ENTIRE HEATING SYSTEM REPLACED IN 2018, ALOT OF DRYWALL, FLOORING AND PLUMBING ALSO ENTIRELY REPLACED, MAKE YOUR OWN HOMESTEAD SHINE TO YOUR STYLES! SOME PLUMBING AND SOME ELECTRICAL ALSO REDONE IN 2018, THIS HOME HAS THE OPPORTUNIES & POTENTIAL JUST AWAITING THE RIGHT PERSON TO BRING THEIR DREAMS TO LIFE. DEPARTMENT OF FORESTRY ALSO HAS DONE SOME TREE PLANTINGS ON THE PROPERTY WHICH YEILDS AN ANNUAL CHECK PAYABLE TO OWNERS, TERMS TO BE DISCUSSED WITH VDOF. HAYFIELDS ARE ACTIVELY SEWN AND COULD CONTINUE TO BE DONE IF YOU WISH. THIS IS A VERY UNIQUE PROPERTY AND JUST SITTING PATIENTLY WAITING FOR SOMEONE TO BRING IT BACK TO LIFE! 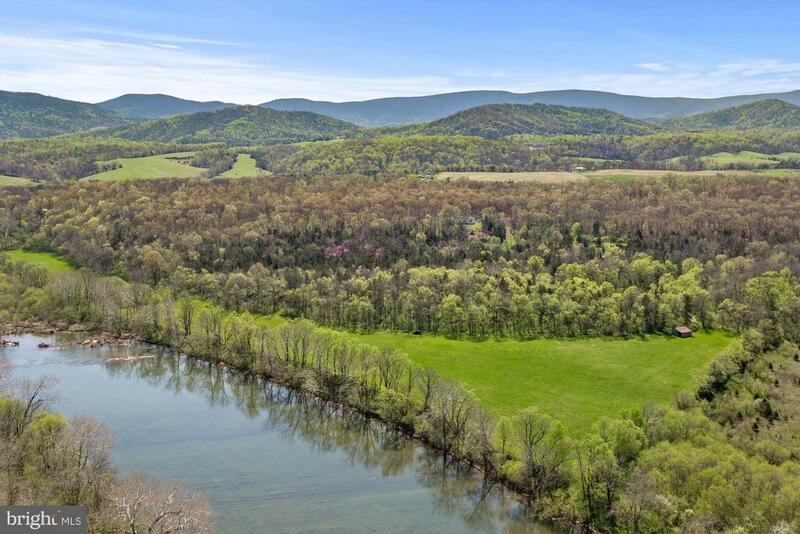 FULL VIEWS OF SKYLINE DRIVE AND COLORS GALORE, ALSO BACKS UP TO UNDEVELOPED PARKLAND ON ONE SIDE OF BACK BOUNDARY"
"Secluded 122.280 acres of waterfront property, with 2,600 feet of river frontage on the North Fork of the Shenandoah River. FOUR BEDROOM SEPTIC AND TWO WELLS. Suitable for farming and home construction. Easy access to 66, 81 and the town of Front Royal. 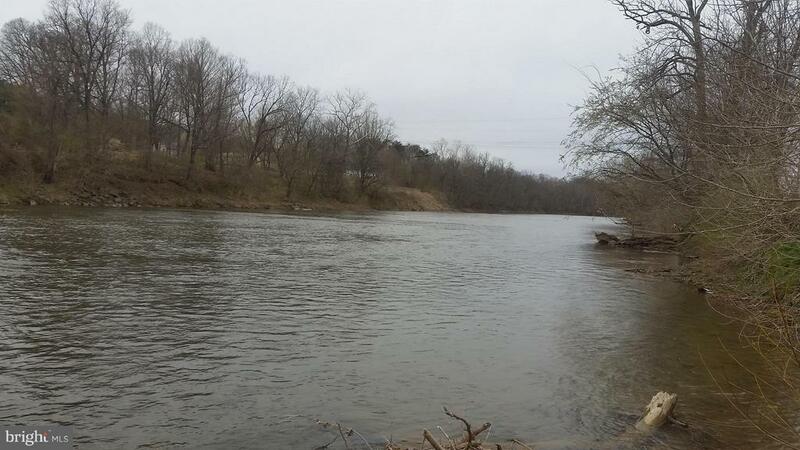 Good visibility of Shenandoah river. Twenty (20) acre lot subdivision potential and owner financing. Park at trailer marked 388, walk from there." "Priced well below Zillow zestimate. Come see this gorgeous, all brick, custom built home. 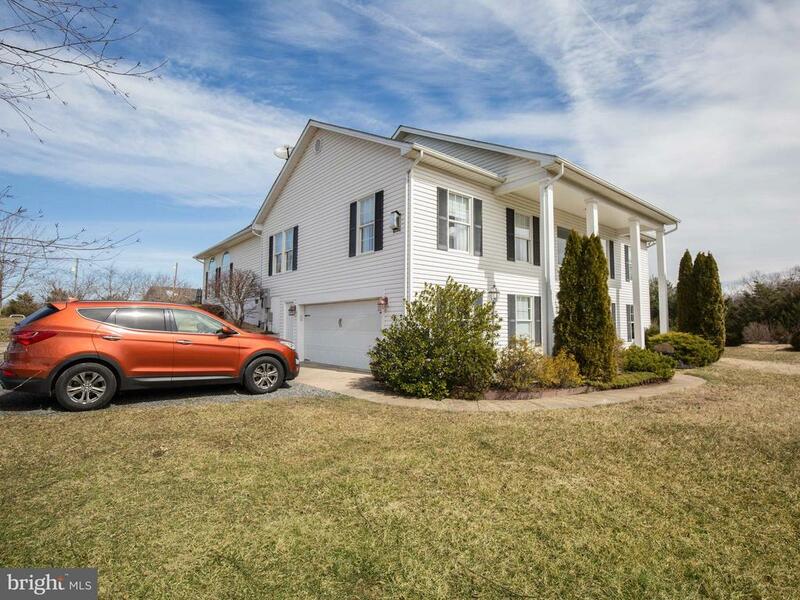 Oversized attached garage, and 3 car, detached garage. The detached garage is heated and cooled with a separate unit. There is a finished loft area also. Utility sink in the garage. Attached garage has heat. 20 X 40 custom gunite salt water, heated pool, with hard cover. Enjoy evenings and entertaining on the expansive patio area around the pool. Updated kitchen, includes double oven, appliances, and plenty of space for gatherings. All new roofing July 2018. Central Vac. High speed comcast internet. The basement is finished for additional space. Open main level flow, and floor plan. Main level master bedroom/bath. This home is beautifully situated in the sought after neighborhood of Highland park, and is very commuter friendly." "What a master piece! Originally a builders home, so it has ALL the extras! RIVERFRONT!!! VIEWS! ONE LEVEL! Brick home with brick patio that could host all your outdoor activities! Completely finished basement with own kitchenette. Detached garage has it's own office with bath and alarm system! 5 acres of beautiful flat land and one 5 minutes to town!!" "A MUST TO SEE BECAUSE WORDS COULD NEVER DESCRIBE THIS WONDERFUL HOME, THE MAIN HOUSE IS A SHOWCASE, IMMACULATE CONDITION WITH OPEN FLOOR PLAN FLOWS MAJESTICALLY THROUGHTOUT THE HOME, BEDROOMS ARE ALL VERY LARGE, CLOSETS ARE GREAT, LANDSCAPING IS AMAZING, TREE LINED ENTRYWAY DRIVEWAY, MOST MAJESTIC SITTING, THE STORAGE SHED/BARN IS PERFECT FOR YOUR OWN BUSINESS, ELECTRIC INSTALLED, VERY HIGH CEILINGS, THEN YOU CAN ALSO HAVE 2 PRIVATE OFFICE SUITES IN NEXT BARN BUILDING, ALMOST TOTALLY FINISHED SQ FTAGE COMPLETE WITH KITCHENS/BATHS FOR A PRIVATE OFFICE/BUSINESS SUITES WITH RIGHT PERMITS, EVERYTHING YOU NEED TO LIVE. WORK, ENJOY A FULL LIFE, FENCING AND ZONING ALLOWS FARMING OF YOUR CHOICE AS WELL, CURRENTLY GOATS & CHICKENS CALL THIS PROPERTY HOME, HOWEVER YOU HAVE THE POTENTIAL TO FARM THE LAND HOWEVER YOU CHOOSE, OR YOU CAN CREATE YOUR OWN WORKING DYNASTY WITH YOUR OWN HOME BASED BUSINESS AND LIVE THE DREAM HERE AT THIS PHOTOGENIC PARADISE. THIS HOME WOULD EASILY HOLD MULTI GENERATIONAL FAMILY, SUITES FOR ALL AGES"
"A MUST TO SEE BECAUSE WORDS COULD NEVER DESCRIBE THIS WONDERFUL HOME, THE MAIN HOUSE IS A SHOWCASE, IMMACULATE CONDITION WITH OPEN FLOOR PLAN FLOWS MAJESSTICALLY THROUGHTOUT THE HOME, BEDROOMS ARE ALL VERY LARGE, CLOSETS ARE GREAT, LANDSCAPING IS AMAZING, TREE LINED ENTRYWAY DRIVEWAY, MOST MAJESTIC SITTING, THE STORAGE SHED/BARN IS PERFECT FOR YOUR OWN BUSINESS, ELECTRIC INSTALLED, VERY HIGH CEILINGS, THEN YOU CAN ALSO HAVE 2 PRIVATE OFFICE SUITES IN NEXT BARN BUILDING, ALMOST TOTALLY FINISHED SQ FTAGE COMPLETE WITH KITCHENS/BATHS FOR A PRIVATE OFFICE/BUSINESS SUITES WITH RIGHT PERMITS, EVERYTHING YOU NEED TO LIVE. WORK, ENJOY A FULL LIFE, FENCING AND ZONING ALLOWS FARMING OF YOUR CHOICE AS WELL, CURRENTLY GOATS & CHICKENS CALL THIS PROPERTY HOME, HOWEVER YOU HAVE THE POTENTIAL TO FARM THE LAND HOWEVER YOU CHOOSE, OR YOU CAN CREATE YOUR OWN WORKING DYNASTY WITH YOUR OWN HOME BASED BUSINESS AND LIVE THE DREAM HERE AT THIS PHOTOGENIC PARADISE. 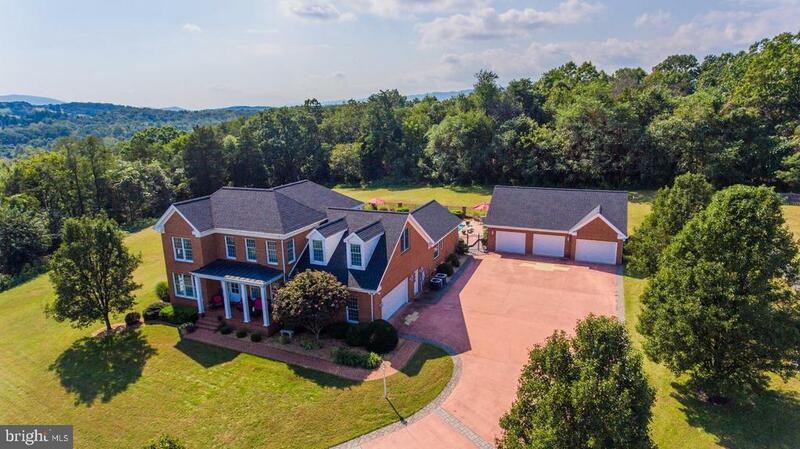 THIS HOME WOULD EASILY HOLD MULTI GENERATIONAL FAMILY, SUITES FOR ALL AGES"
"This one of a kind English Tudor features 5 secluded acres that only comes with the tranquility of the country. Boasting of mature oaks and other variants, a babbling brook and all this is just a stone~s throw away from the George Washington National Forrest. 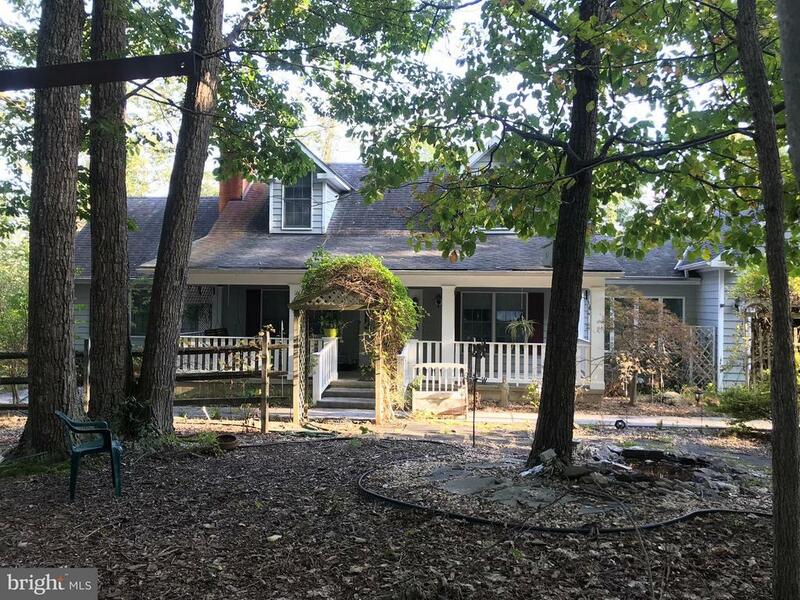 15 easy miles to the Skyline Drive and the town of Front Royal, the canoe capital of VA; 4 bedrooms, 2 ~ baths, 3car garage, sauna and hot tub room, dual staircase and hard wood flooring. This English Tudor shows the designer features and rich finishes throughout. Local area attractions entice you to explore the quaint little town of Front Royal. Visit the unique shops on main street or stop by and have a coffee at the Daily Grind, then walk through the many antique shops and boutiques along the way. Needs a little more adventure? Visit the Skyline Caverns, the Skyline National Park or even Zip-line in the Andy Guest National Park located down Rt 340. Don~t forget the Down River Canoe Company, where you can rent a canoe and lazily or hastily paddle down the Shenandoah River any time you want." 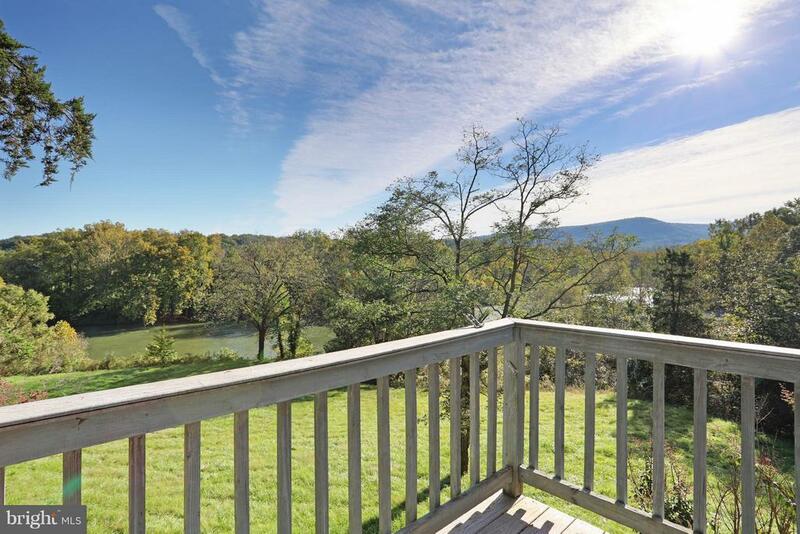 "Relax on the shenandoah river while enjoying the mtn view! ( 200+ feet of river frontage) 3700+ finished sq ft, gourmet kitchen, sunroom, den, library, office, private in law suite - all this awaits you! Room for small farmette, unrestricted w/2 fenced areas, run in shet & 2 car garage/barn w/storage! 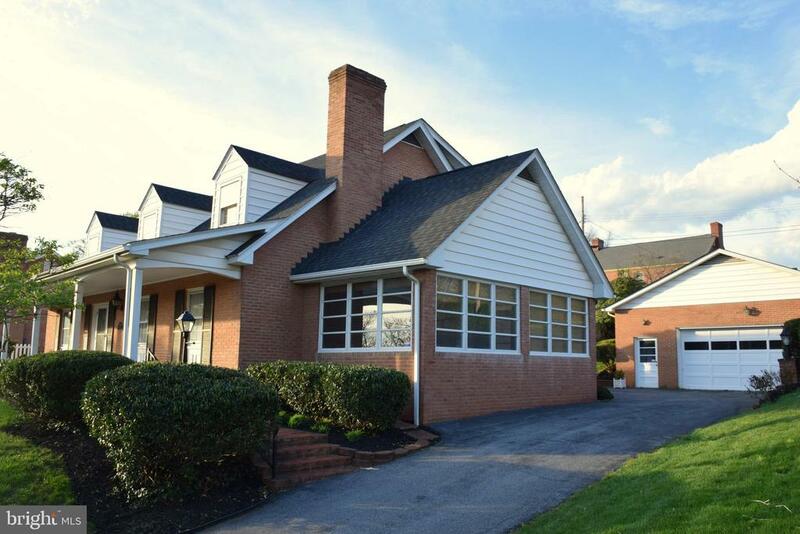 Carriage house w/studio & workroom w/loft. Bring your animals. Established garden πrate ship! Bring your canoe/kayake! your own private oasis! Lots of room to entertain! Property was used as farmette with chickens, goats, etc. large ourtbuilding used as barn with two run in sheds SEller will consider owner financing with a considerable deposit!!!!" "PHOTO IS ARTIST RENDITION! !TO BE BUILT 84 LUMBER BLUFF CITY MODEL, POND AND MOUNTAIN VIEWS, LARGE WORKSHOP AND RUN IN SHED. 10 ACRES PLUS. FULL UNFINISHED WALKOUT BASEMENT, 3 PC ROUGH IN WALKOUT, GAS FIREPLACE, FRONT FULL PORCH, HAS A 4 BEDROOMS CONVENTIONAL PERC. THIMBLE FOR WOOD STOVE IN BASEMENT.ESCAPE TO THE COUNTRY! !Such a wonderful private setting for a new home! Perfect for all types of uses as land is partially wooded and mostly open offering commanding views. Excellent soils and a conventional septic system that is gravity flow approved. The 4-H center with pool, tennis courts and picnic areas are minutes away. Many miles of horse trails are nearby also. OWNER IS A LICENSED REAL ESTATE AGENT IN VIRINA." "Secluded Rambler House sitting in 35 Acre Lot**Surrounded by Oak Trees**Long Private Drive way***Gourmet Kitchen leads to the nice Deck overlooking spectacular mountain view***Huge Master BDR with Master Bath & Wood Fire Place, leads to the patio overlooking beautiful view***Efficient Wood Stove to warm up the entire house & Save utility cost**Lot can be subdivided into three lots to build houses*"
"Welcome to 620 Darby Dr located in Loblolly Estates. 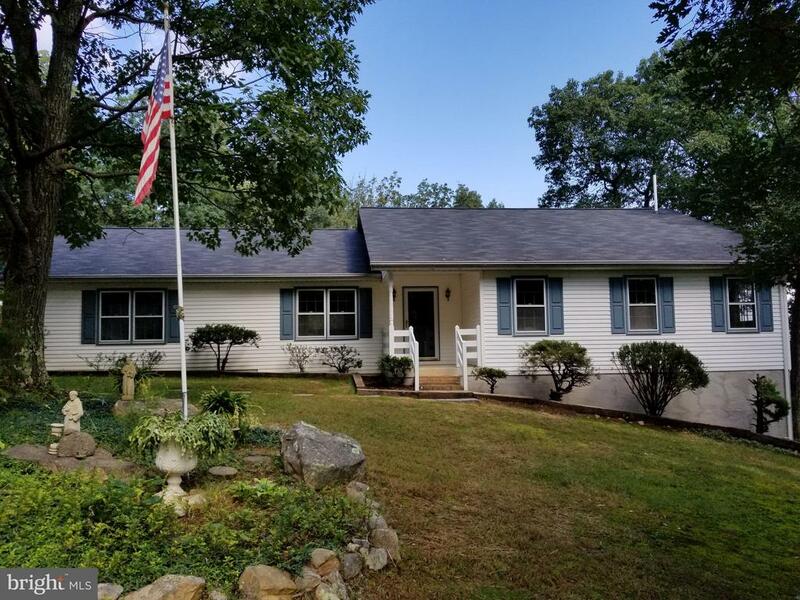 This wonderful property consists of the main home situated on 5 acres with 3 finished levels, 4 bedrooms, 3.5 baths with an updated kitchen and a semi attached 2 bedroom, 2 bath home that could be an in-law suite as it is wheel chair accessable. Each home has a private entrance, kitchen, baths and laundry and are connected by a common deck with access through the main garage. There is also a detached 2-car garage and above ground pool with deck! Both homes have been lovingly maintained with many upgrades. This property has much to offer and must be seen to be appreciated!" 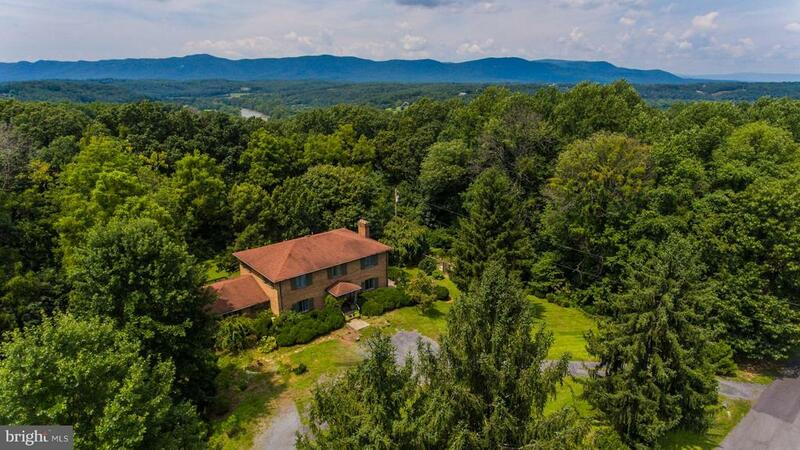 "Privacy awaits with this spectacular contemporary home, backing to woods that is at the doorstep of the Shenandoah National Park. Breathtaking mountain views, incredible sunsets. Spacious open plan, 2-story great room, stone fireplace, main level master bedroom, upper level loft. Custom gourmet kitchen w/heated floor, huge bonus room over garage. 2nd building lot, additional 1.92 wooded acres also for sale." "Gorgeous Chalet located on 5 acres with beautiful mountain views. Property is surrounded by lovely blooming Apple Trees. Large kitchen and dining room upgraded with Granite counter tops and gorgeous wood floors, Back deck has just been restained and the entrance is just off of the dining room Stainless Steel Appliances Hard Wood Floors on the Main level 2 Master bedrooms First Master on Main floor has private front deck access with Mountain views. A beautiful spot to enjoy your morning coffee. Large walk in shower double sinks and stain glass windows. Second Master is on the lower level Great possible in law area. Sunken Tub and Walk in shower on lower level Master Bedroom. Half bath also on lower level Large inviting wood burning stone fireplace, 4 bedrooms 3 full baths and 1 half bath Large loft area great space for a home office or family room with attic access. Finished basement with large windows for plenty of natural light and laminate flooring. 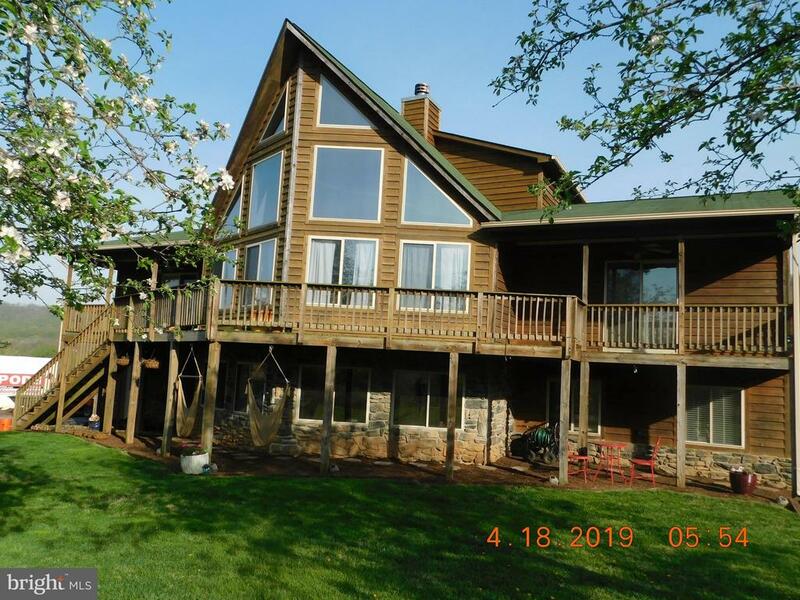 New HVAC Unit in 2018 Front and Back Decks to relax and appreciate the beautiful moutain views." "PICS COMING SOON. TO BE BUILT COLONIAL ON WONDERFUL LEVEL WOODED LOT. ESTIMATED DELIVERY IS 6 MONTHS FROM CONTRACT. PAVED RDS LEAD TO THE LOT AND A SHORT DISTANCE TO TOWN. PRICE INCLUDES ALLOWANCES FOR HARDWOOD FLOORS, TILE AND CARPET. GRANITE AND RECESSED LIGHTS. 2 CAR GARAGE AND FULL UNIFINSHED BASEMENT W/ A R/I FOR A 3RD FULL BATH. 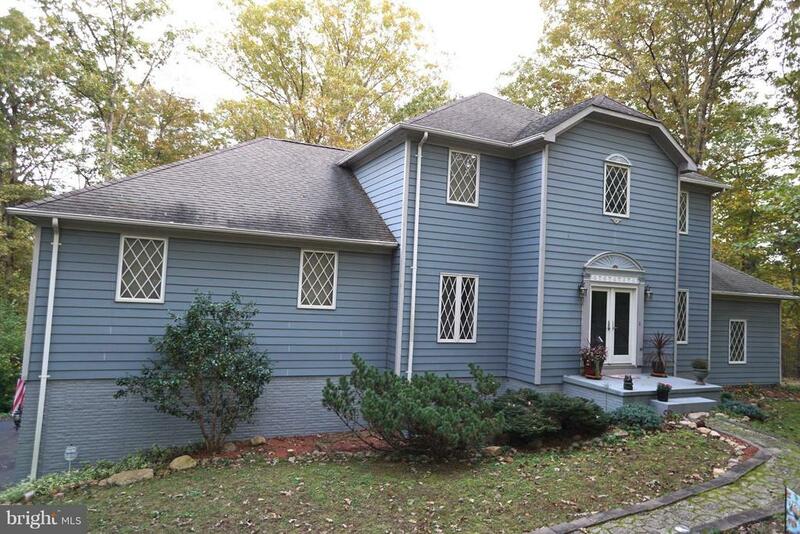 LOT ALSO FOR SALE: SEE WR10302436"
"Come take a look at this stately custom built solid brick colonial home. Unique opportunity to own 4,000+ sq. ft. custom designed home. 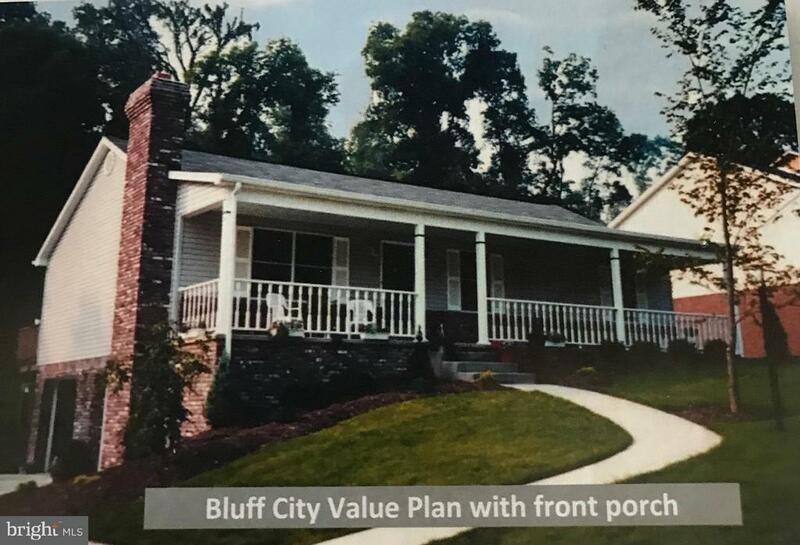 Expansive rear deck with hot tub to relax and take in the winter views. 2 fireplaces. The owner spared no expense in the upgrades to this home. Vintage tile in large kitchen with prep sink. Kitchen island with seating. Main level master suite with tiled shower. Tankless water heater. All electric & plumbing have been updated. 2 laundry rooms make this home perfect for shared living space. Invisible dog fence. Rear deck was added. The basement has been sealed and water proofed. Mini oak barn." "Make it your OWN!! Too be built spacious colonial home off a paved road 10 minutes from town!! Choose your colors! 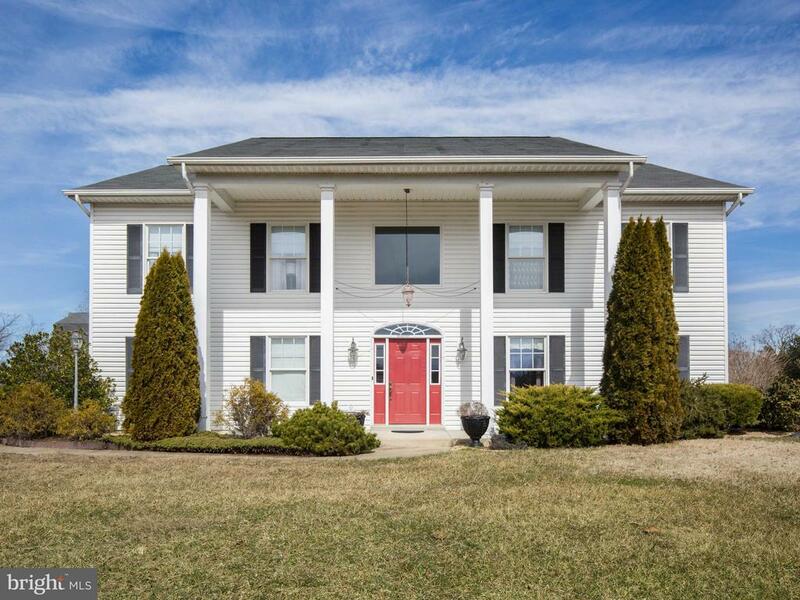 Offering an open floor plan with 4 bedrooms, 2.5 baths. Master bedroom offers walk in closets and a private full bath. Main floor Laundry, Large Kitchen with island. Located across from the national forest. Zoned Agricultural." "Classic Custom Built Cape Cod! Quality Home Designed with Attention to Every Detail! In Town with Mountain Views! One Level Living with Main Floor Master Suite & Laundry! This timeless beauty is a must see. Spacious, bright, and beautiful! Boasting Over 5,500 square feet including large laundry/storage room in the basement. Be ready to entertain with numerous hosting spaces~formal living room for proper dinners, indoor porch with grill for fun BBQ nights, or cocktails on the covered front porch watching sunset with neighbors. Location! Location! Location! Close to historical downtown Main Street, shopping, outdoor adventure & recreation (Skyline Drive, Shenandoah River, Andy Guest Park, Soccer Plex, Eastham Dog Park), dining (Front Royal has been highlighted in numerous tourism guides for our hidden gems), easy access to Rt 66 for commuters, and the list can go on and on!Highlighted features Include: Fresh paint and new carpet throughout. Kitchen includes double wall oven, built-in microwave, pass through to breakfast room, desk, built-in shelving, ample cabinets, garbage disposal. Master suite on main level with easy step shower and laundry in hall. Indoor porch (20x11) includes heat for chilly nights, built in brick grill, and mountain views. Upstairs bedrooms are bright with potential 2nd master suite. HUGE oversized garage (28x21) perfect for mechanic workshop, storage, and handyman work. Garden shed." 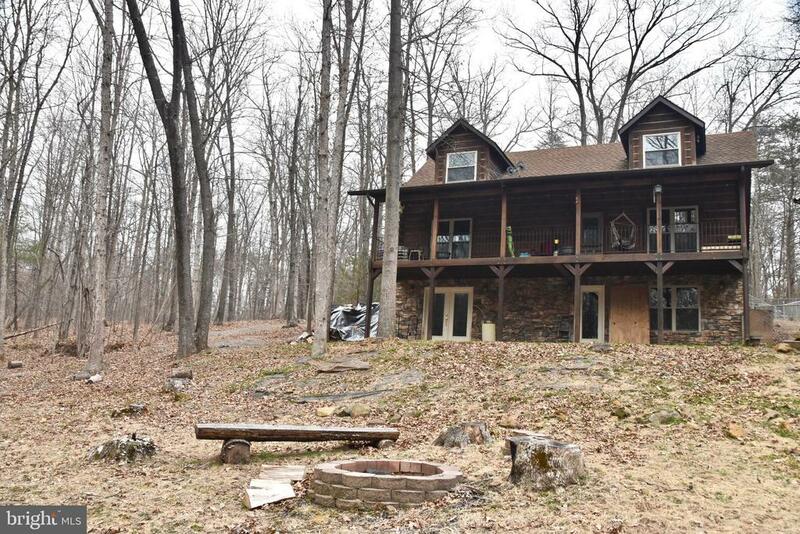 "Beautiful log home on just over 13 acres. 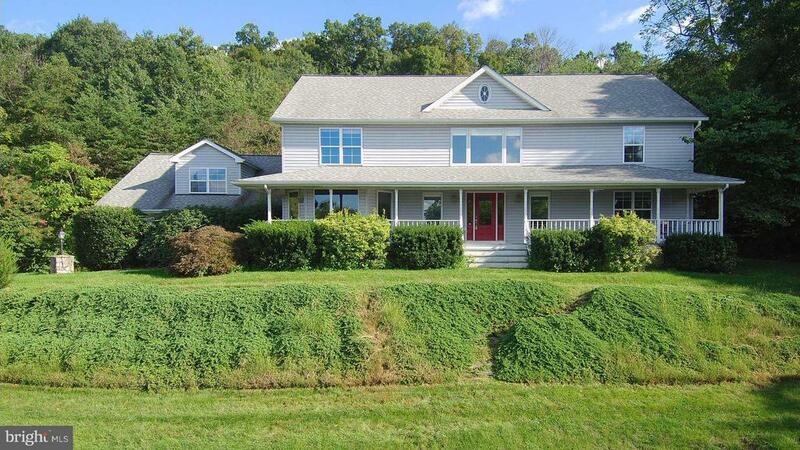 Very private with beautiful views overlooking the woods and stream. Large detached garage with power. First floor master bedroom with a large full bath. Stone fireplace and vaulted ceilings with exposed beams. Finished basement with a bar and full bath. Rear exit. Fire pit overlooking the stream. Heat can be run on propane or wood furnace. Section of the yard is fenced in. This is a must see! *HIGH SPEED INTERNET AVAILABLE*"
"Privacy surrounds you in this spacious home. Recent appraisal. cul-de-sac rd. Fruit trees and hardwoods create your homes oasis setting. Come relax on the front porch to all the sounds of nature. Inside, cozy up to the fireplace and wood stove. Hardwood flooring on the main level. Outdoor entertaining space is abundant. 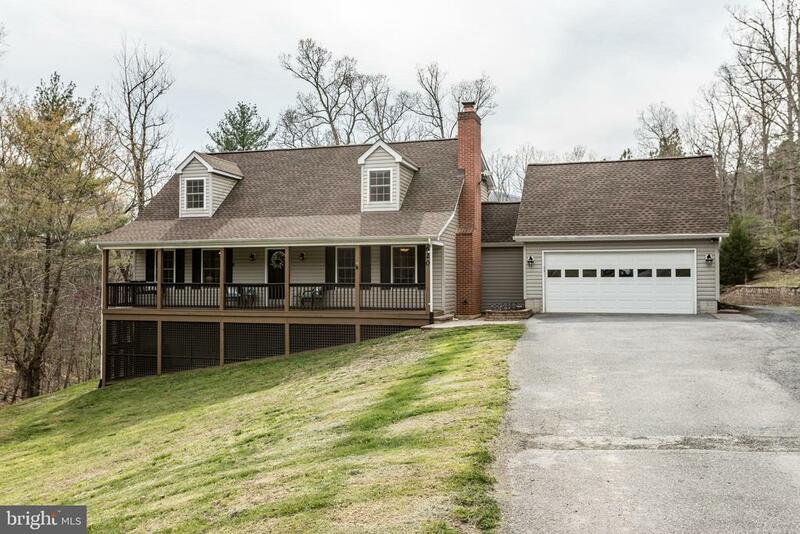 2 car, over size garage also has a loft that could be finished as office"
"5 acres in sought after community allows goats, horses, chickens, etc., AND access to South Fork of the Shenandoah River! All paved roads! Over 2200 sq ft on the main level, this is one level living at its best, the split bedroom floor plan offers owners a master retreat! Gorgeous mountain views from several rooms and large deck. 2202 sq ft unfinished walk-out basement can be finished to meet any need: in-law suite, office or rec room! Partially fenced for pets. This lot is partially wooded and extends across River Bend Farms Rd to the stream. GIS map is not accurate."